A beautiful 93'1967classic yacht thatrecently completedan interiorrefit and is professionally maintained at exceptionally high standards. 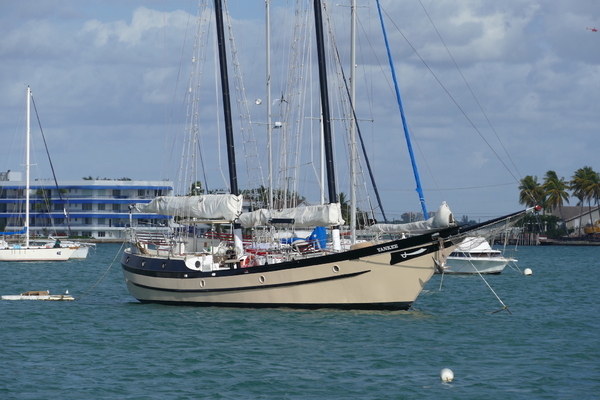 She is equipped with Vosper stabilizers making her one of the most stable seagoing yachts. United Yacht Sales New Jersey would love to guide you through a personal showing of this 92' Punat Long Rang Cruiser 1967. This yacht for sale is located in Seattle, Washington and priced at $999,995. For a showing please contact us by filling out the form on this page and we will get back to you shortly! MONTEGO sleeps 10 in 4 staterooms each with their own head and shower. The crew quarters are located forward on the lower deck and accommodate 3 crew. The captain’s stateroom features a single bunk and adjoining head with shower. The crews’ stateroom offers upper/lower bunks and head with shower. Located in the crew area is also a washer/dryer, crew dining area, TV, and Plex Media video library. The Main Salon features 2 sofas, a settee area, stereo system with speakers throughout, and a television mounted on the most forward wall. The Dining Salon features a glass dining table, china cabinet with complete china, service for 8 and a dumbwaiter for service to galley. Galley equipment includes a 4-burner commercial electric stove with oven; 2 refrigerator/ freezer units in galley, 2 freezers in crew quarters, one Kenmore and one Zoppas; one additional refrigerator in crew quarters; 1200 watt microwave oven. ISE 190 degree hot water tap, Dynamic cooking systems professional propane BBQ on deck. The Owner’s Stateroom is located on deck and features a walk-around queen sized bed, TV with Plex Media video library and an expansive ensuite head with shower and bidet.Large windows in the Owner’s Stateroom fill the space with an abundance of natural light Two midship guest staterooms are very large and well furnished with queen beds, ensuite private heads complete with bidet and shower. The aft cabin has a queen bed and two bunks with a private head with bidet and shower.